I’m not going to pretend that I’m an expert when it comes to economic issues, but I did previously work for a bank, so I wouldn’t say I’m clueless either. Having often considered our welfare system, one aspect that I find perverse is that anyone who works full-time, even in a low paid job should need to have their income subsidised through state benefits in order to be able to afford to live. There is a stigma and a dependency that comes from heavily relying on handouts that stifles hope and aspiration. Poverty is never a pleasant thing especially if you’re working your hardest and still can’t escape it. Today there are over 5 million people – and nearly a third of all female employees – who are classed as low-paid. Studies show that the majority of working-age people living below the poverty line are now in working households, and that two-thirds of all children living in poverty are part of working families. 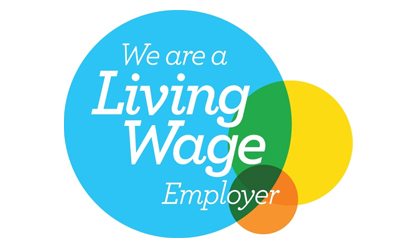 This week is Living Wage Week. The Living Wage campaign has been going since 2001 as a practical solution to address working poverty and strengthen families. Austerity is a painful and unwelcome experience, but one positive effect is that it sharpens thinking and forces us to assess how we can best use the money available and treat those on the lowest financial rungs of society with respect. It’s no surprise therefore that support for and awareness of the Living Wage has grown rapidly recently. It has a wide range of advantages beyond those of an increased income for employees. The IPPR think tank has presented research this week that calculates the treasury would save £3.2 billion a year through increased tax receipts and reduced benefits if all workers were paid at least the Living Wage. An independent study examining the business benefits of implementing a Living Wage policy in London found that more than 80 per cent of employers believe that the Living Wage had enhanced the quality of the work of their staff, while absenteeism had fallen by approximately 25 per cent. Any idea that wins cross party support from politicians is usually worth paying attention to. Boris Johnson, a keen supporter of the Living Wage announced this year’s rate of £7.45 per hour (£8.55 for London) on Monday. David Cameron described the living wage as a “good and attractive idea” before the 2010 general election. Ed Miliband has been strongly in favour and on Tuesday announced that a Labour government would give employers who pay the Living Wage a tax break for at least a year. There is still plenty of discussion to be had as to how effectively government incentives for employers would work and how complex a system like Miliband’s would be to administer. The simplest (but not necessarily best) solution as far as implementation goes would be to increase the minimum wage towards that of the Living Wage. There is very little chance of that happening any time soon though. The Living Wage Foundation’s website states that the concept of a Living Wage has roots in various cultural, religious and philosophical traditions. However, what few people are aware of is that the Living Wage campaign was introduced by The East London Communities Organisation (TELCO), which went on to become Citizens UK. If you look at the member organisations of TELCO you will see that the vast majority are churches and faith schools. “You shall not oppress a hired servant who is poor and needy, whether he is one of your brothers or one of the sojourners who are in your land within your towns. You shall give him his wages on the same day, before the sun sets (for he is poor and counts on it), lest he cry against you to the Lord, and you be guilty of sin” (Deuteronomy 24:14-15). Within a consistent narrative that work is good and that “the labourer deserves his wages” (Luke 10:7) we are shown that: cheating people of their due wages is wrong and dangerous (Genesis 31:7, Jeremiah 22:13, James 5:4); and that treating employees fairly honours God (Ephesians 6:9). If the Living Wage Foundation can gain the strong support of many big name companies including Barclays. KPMG, Aviva and Legal and General, all of whom are fully accredited, then you would expect to see churches and Christian organisations joining in with this initiative to see millions of people lifted out of poverty. Mark Russell, Chief Executive, Church Army has said, “Let’s put our money where our theology is, and stand up for the vulnerable in society. It really is a no-brainer.” If you look at the list of Living Wage employers you will find plenty of Christian charities and organisations including the Church Army and Church Action on Poverty, who have produced a briefing on the support by different church denominations for the Living Wage. All back it in principle. The Methodist church has required it since 2010 and the Churches of Wale and Scotland are in the process of introducing it, but the briefing also suggests there is still some way to go. During the four years I worked full-time for a church I was paid below the Living Wage threshold and there will still be many currently in the same situation as I was. The Living Wage’s cause is worthy of the Church’s support, but such support needs to start at home if your words are to have credibility. The Living Wage is not the solution to poverty, but it will make a significant impact. Thousands of people are already benefiting from it through hundreds of employers. This is another grassroots movement that has the potential to transform the lives of a great many people without waiting for the Government to intervene first. The Living Wage is a reminder that business should be just as much about moral obligations and ethics as making money and profit. It is something rare and precious that can draw politicians, business leaders and unions together for the common good. And for many important reasons, the Church ought to be right in the middle of this movement too. ‹ Is a muscular defence of our national Judaeo-Christian heritage needed? Employers would put prices up to pay for the living wage which would put the cost of living up meaning that the living wage would have ti rise which would lead to further price rises to pay for it. It would be an inflationary cycle. Also, those in part time work would still need their income topped up by benefit . The Living Wage does need to be backed by some sort of legislation I think, as many people take the same view, including numerous politicians, as yourself – that though it’s good in principle it requires higher prices. I totally see where you’re coming from, especially for product based businesses, but certainly for services, the Living Wage is far easier to accommodate simply by having slightly lower profit levels on staff member’s time. I co-run a web design and internet marketing business and we prioritise paying our staff and freelancers at, or above, living wage. It means that there’s less profit in the business as a whole and for us personally to take home, but all of our staff appreciate the rate of pay, and genuinely have increased loyalty and work harder for us. It’s helped ensure the level of quality of work, which increases leads coming in due to reputation, which increases workload and profitability in it’s won right. A lot of the Living Wage ‘problems’ would be eased and negated if CEO’s and business owners were happy to have slightly (and only slightly) lower profits in a year to appreciate their staff enough to give a wage that allows them to not be in debt! Rather than pay a living wage, some call centre companies would relocate to India to safeguard profit. Thanks for this blog I agree that a living wage is essential to our country. I also think that lobbying business in a fair trade type campaign is a good way forward. But this will only work for certain businesses where there is an alternative on offer. For example if a coffee shop pays a living wage you can choose to go there over one that does not. Just like the fair trade coffee, but what of huge energy companies and others where we have to buy with little alternative. Same with the tax system if I only shopped at places where the company paid a fair tax I would fast become aware that there were very few places I could shop. In fact I could not even buy gas or electric. This is why legislation is also needed, but will only come with raised awareness of the issue. So the living wage badge is a great step forward. The living wage makes sense on so many levels; spiritually, economically and on government finances. A lot of companies can afford it, especially the big ones. I think it should be made the minimum wage even if only for companies above a certain size. A lot of the objections being put forward now were put forward when the minimum wage was introduced and proved to be false. The truth is that the share of the pot that has gone to capital in the the last 30 years has increased dramatically with a corresponding drop in share going in wages. It is no coincidence that this has coincided with the emasculation of the trade unions. The slogan is often banded about making work pay, this is usually in relation to cutting benefit, but what we need is to truly make work pay fairly and properly. In addition to the living wage positive steps would be a maximum ratio of the highest to lowest earners in a company and the ending of union bashing, giving back to the workers some of the rights, that they have been stripped of during the neo-liberal economic experiment. In addition of course it would benefit the state of the country’s finance because we would no longer be subsidizing cheap labour. Of course a living wage is a good idea – what that should be is more difficult to define I suspect, but to work full time and be worse off than if you were un employed surely can’t be right. Something that appalled me recently – I discovered that it isn’t only uncaring greedy companies that don’t pay the proper rate. I live in Kent and a local charity pay their charity shop managers so badly they need welfare benefits as well, even to this extent, one man I know has also had to get a discretionary extra top up for 3-4 months. I don’t suppose the charities’ supporters know that.